Looking for a cute, beautiful or funny printable Easter card in high resolution that looks great on print? 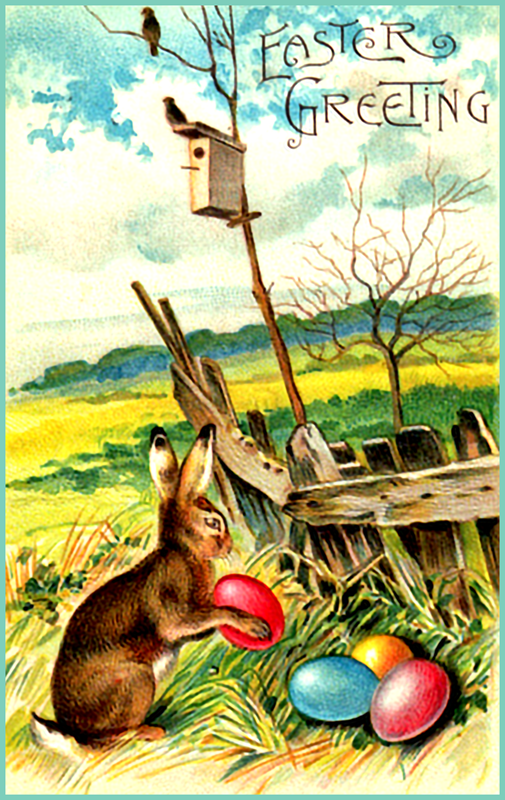 If 'yes', then I invite you to take your time exploring this page where I have gathered a large and wonderful collection of both vintage Easter greeting cards as well as Easter cards in a more modern style (as far as I know, all vintage Easter cards presented here was public domain). 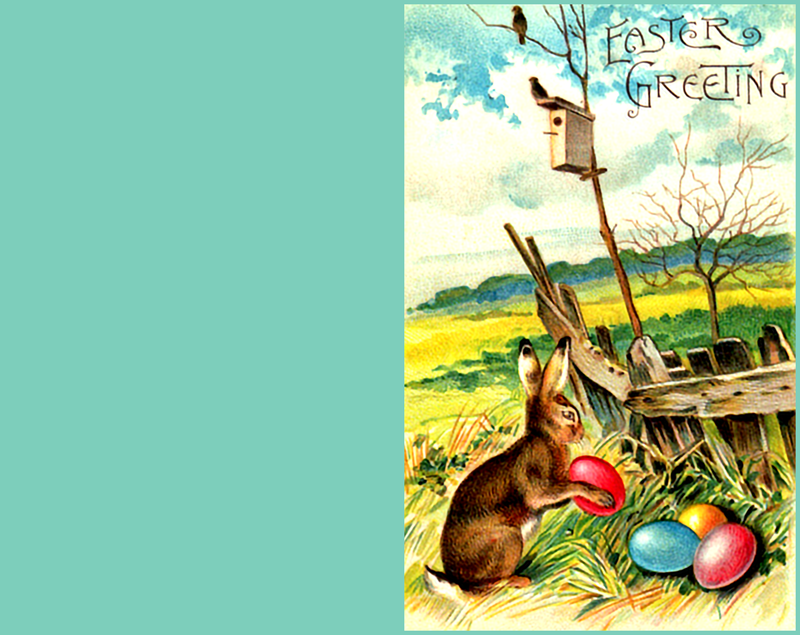 As an extra service to you, each Easter card comes in both a postcard version and greeting card version. You are absolutely free to choose which one suits you best (read more on the difference between the two a bit further down). 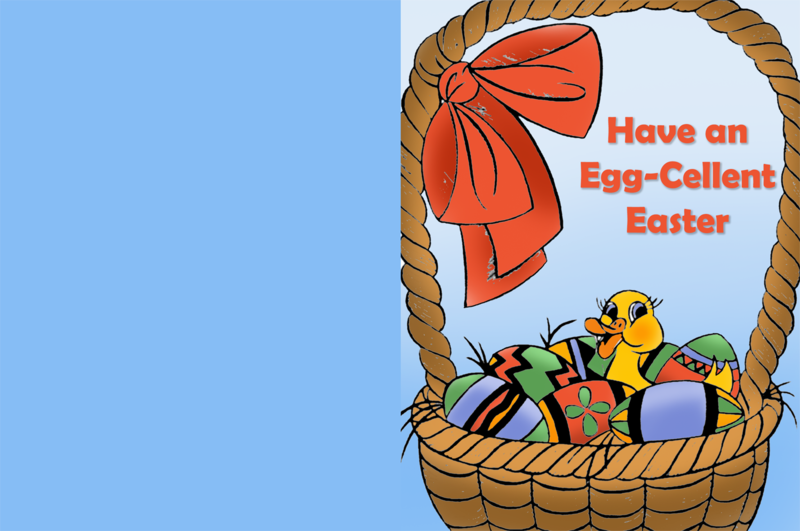 If you're looking for cute Easter sayings for greeting cards, then please look for the text in square colorful boxes as you scroll down the page. All the printable Easter cards here are free to download, but please only use them for private purposes, thank you. Do You Want an Easter Postcard or an Easter Greeting Card? In case you are a bit in doubt about the difference between the two, here is a quick explanation. A postcard only consists of two sides, the front and the back. On the front you have the image and on the back you write your Easter greeting and the address to where you want to send it, and put on the postal stamp. In theory you don't need an envelope for sending it. However, if you choose to send it without an envelope, I would recommend laminating it, as non-coated paper wouldn't handle being sent via snail mail very well. A greeting card is foldable and has four pages. It has a front page with the image, you then open the card and find two pages inside, and when you close it, you have a backside, too. This kind of card needs an envelope before you send it. Both the postcard and greeting card would work best when printed on thick paper. 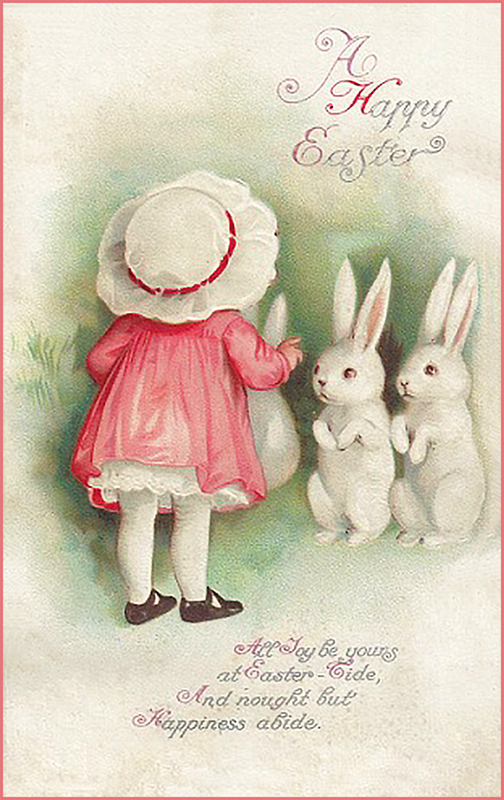 The size of this vintage printable Easter card is 15 cm x 9,45 cm in 200 dpi. Like a pure and brilliant light. 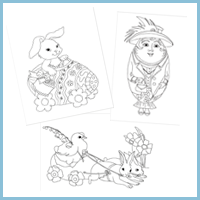 If you want to download a this Easter card as a greeting card (a foldable version), where you can write inside the card, you may instead choose to download the below version. Even though the image is small here on your screen, it will be proper greeting card size when you download it. When the Easter card is folded, it will be 15 cm x 9,45 cm in 300 dpi - just like the postcard version above. 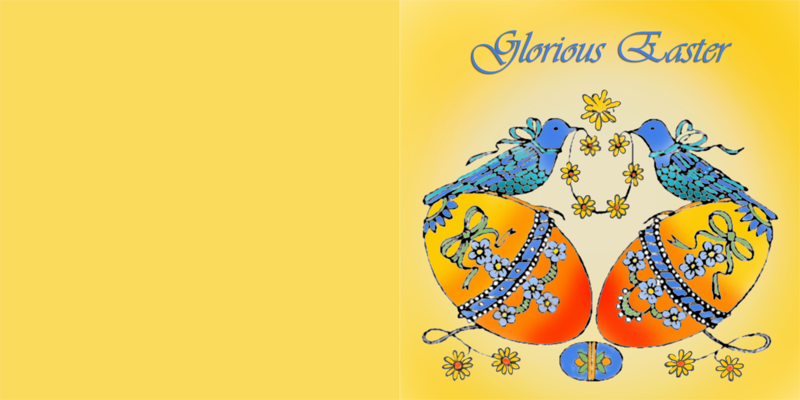 This printable Easter card is 15 cm x 9,39 cm in 260 dpi. 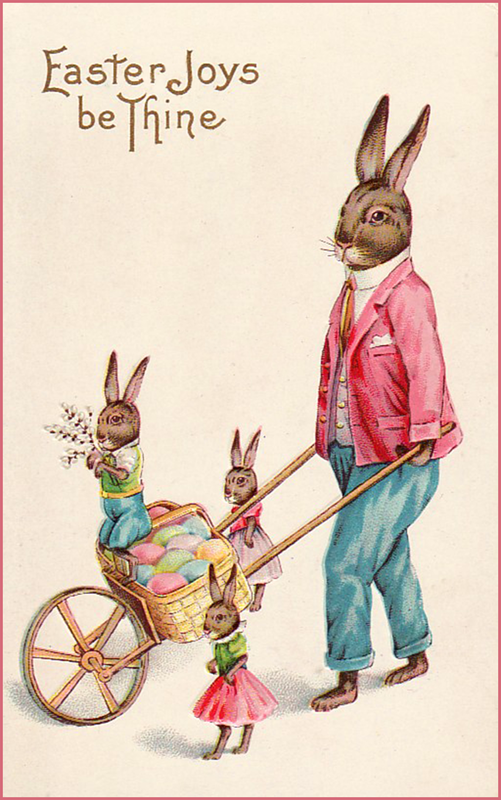 On this card you can see three bunny children and a daddy Easter bunny pushing a wheelbarrow-like cart filled with lots of colorful Easter eggs. They are probably on their way out to hide the eggs in excited children's gardens. 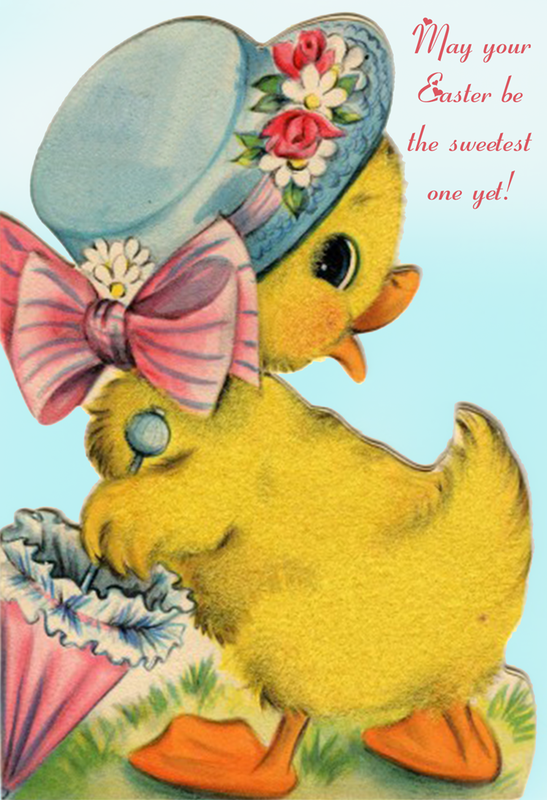 If you want this cute Easter card as a greeting card, please just download the above version. This printable Easter card is 15 cm x 9,78 cm in 300 dpi. If you're looking for a printable Easter card in bright colors and in a more contemporary style, then this Easter card with a bunny holding a huge Easter egg, might be spot on. 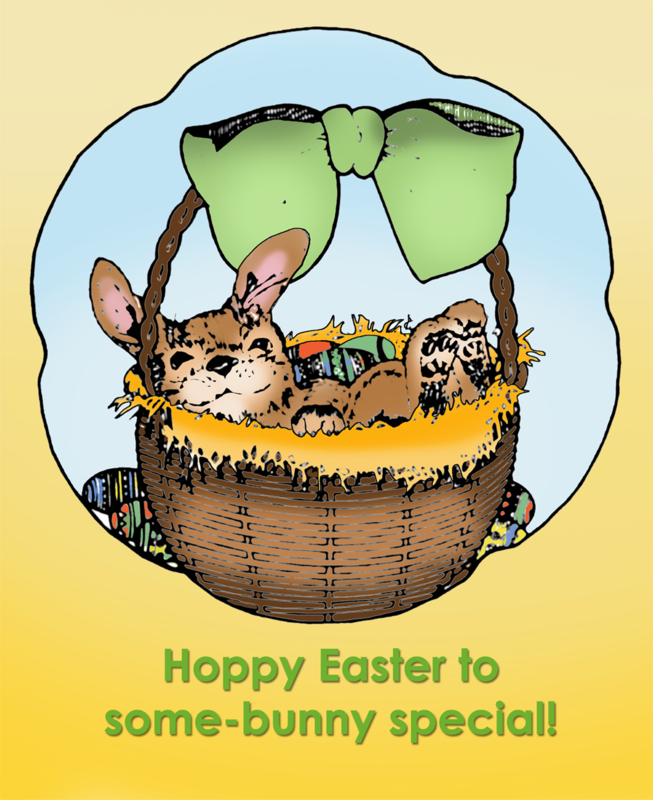 This Easter greeting card is 15 cm x 10,23 cm in 240 dpi. 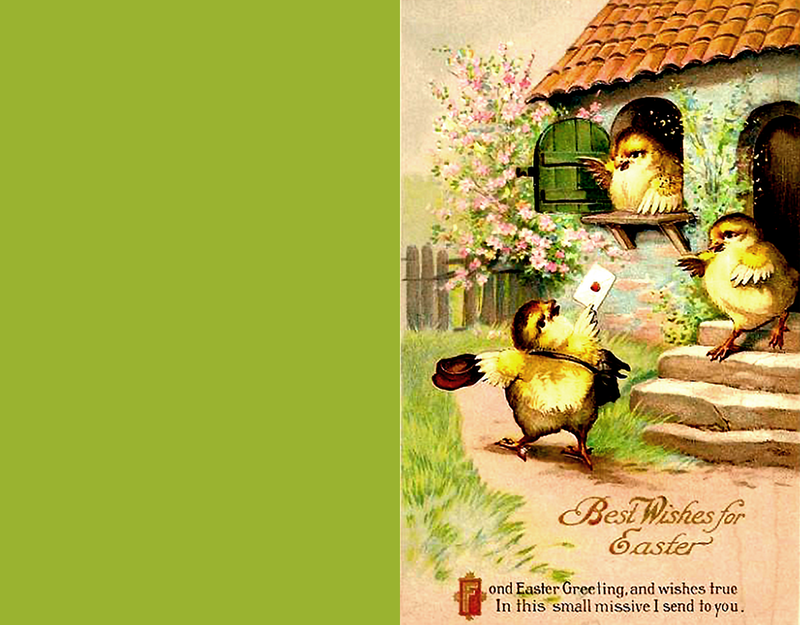 Want to send a cute Easter card to a little girl? 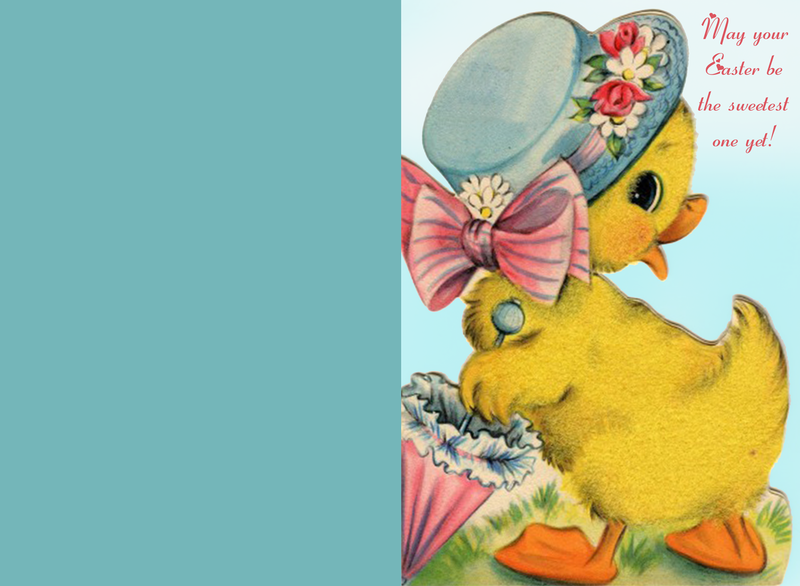 Then this wonderful vintage Easter greeting card featuring a yellow duckling with blue hat and pink umbrella might be just what you're looking for. May your Easter be the sweetest one yet! 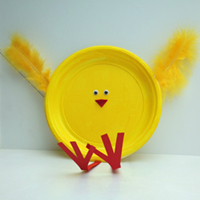 This Easter card is 15 cm x 9,6 cm in 200 dpi. This is a funny one. Here you see two Easter bunnies riding on the back of two white lambs. 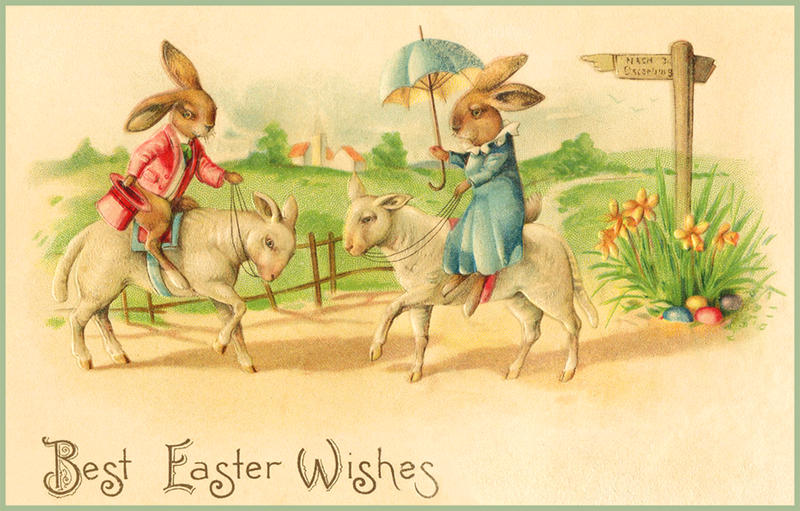 And if you look closely enough, you'll notice that the female bunny is riding sidesaddle (a way to preserve a woman's decency) with both her legs on one side - just another testimony that this Easter card has a few years under its belt, probably dating all the way back to the Victorian era. 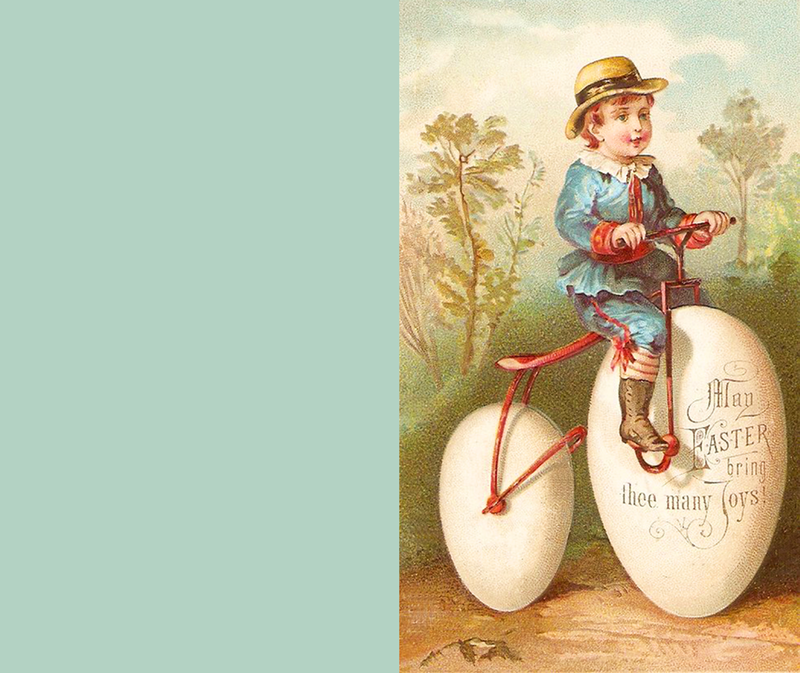 This old Victorian Easter greeting card is 15 cm x 8,93 cm in 200 dpi. 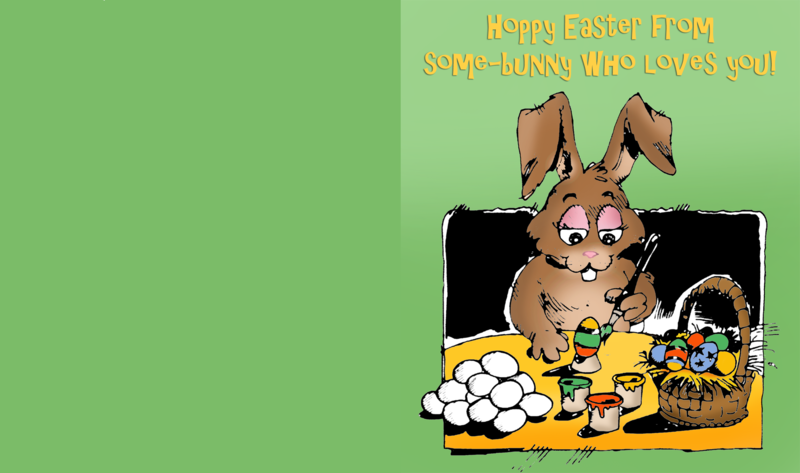 This is another old and funny Easter card. 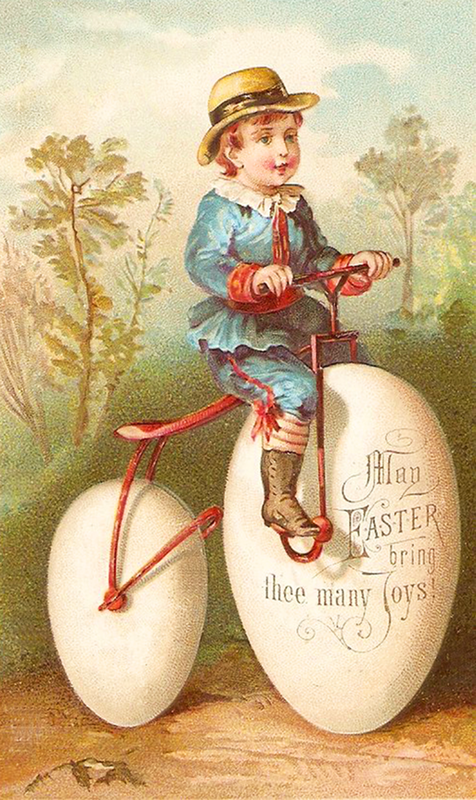 Here you'll see a little boy riding a red bike, where the wheels have been replaced by giant white eggs. I'm not really sure how efficient that design is for actually biking, but the idea at least, is very creative indeed. 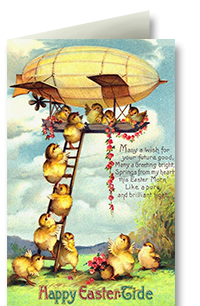 This free Easter card is 15 cm x 11,29 cm in 230 dpi. 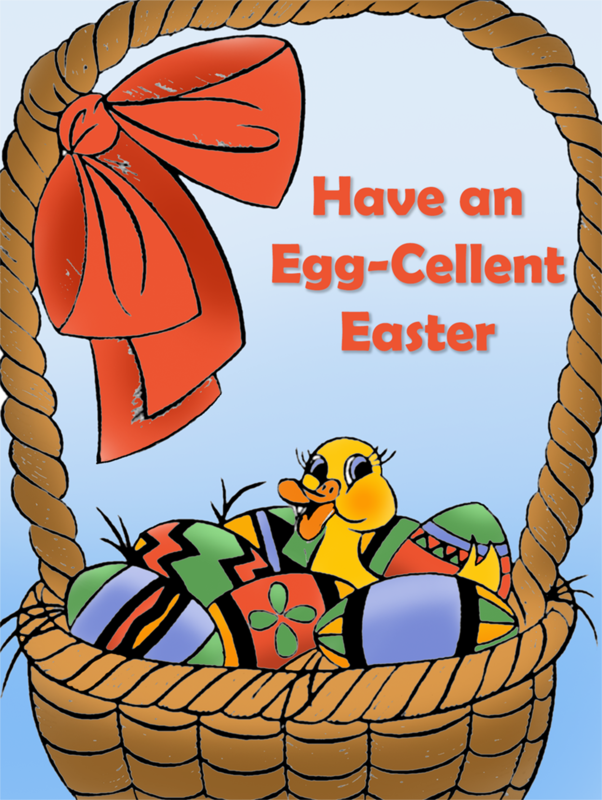 This printable Easter card is probably more oriented towards kids than adults. Here you can see a cute yellow little duckling in a basked filled with beautifully colored Easter eggs. This Easter card is 15 cm x 9,48 cm in 200 dpi. 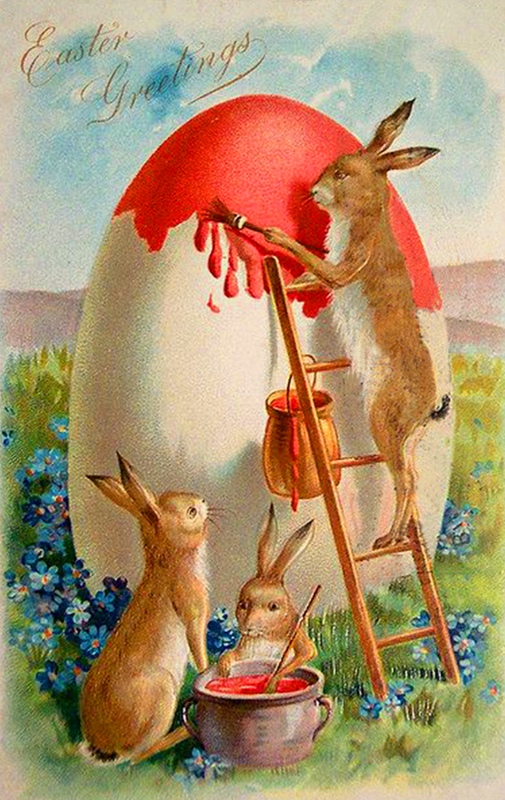 This is another beautiful old treasure showing three cute bunnies or Easter hares paining a huge Easter Egg. Lucky be the girl or boy finding that giant egg. 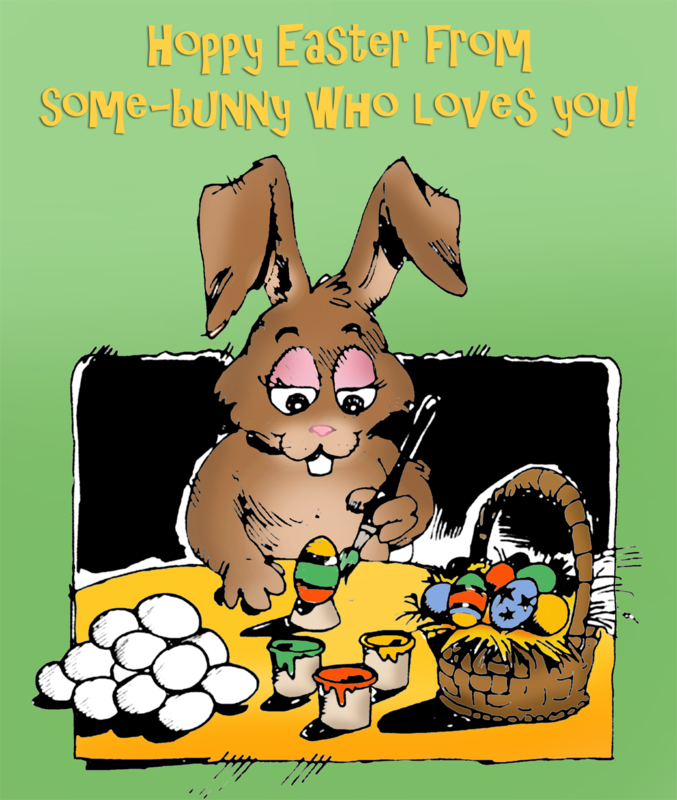 This printable Easter card is 15 cm x 12,35 cm in 180 dpi. 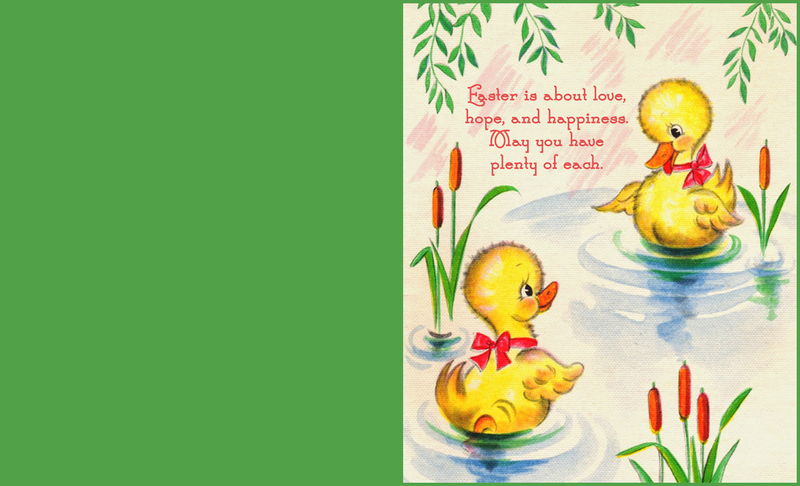 Looking for an Easter card that is all about love and happiness, this beautifully hand painted vintage Easter greeting card with cute yellow ducklings might be just the thing. Easter is about love, hope, and happiness. May you have plenty of each. 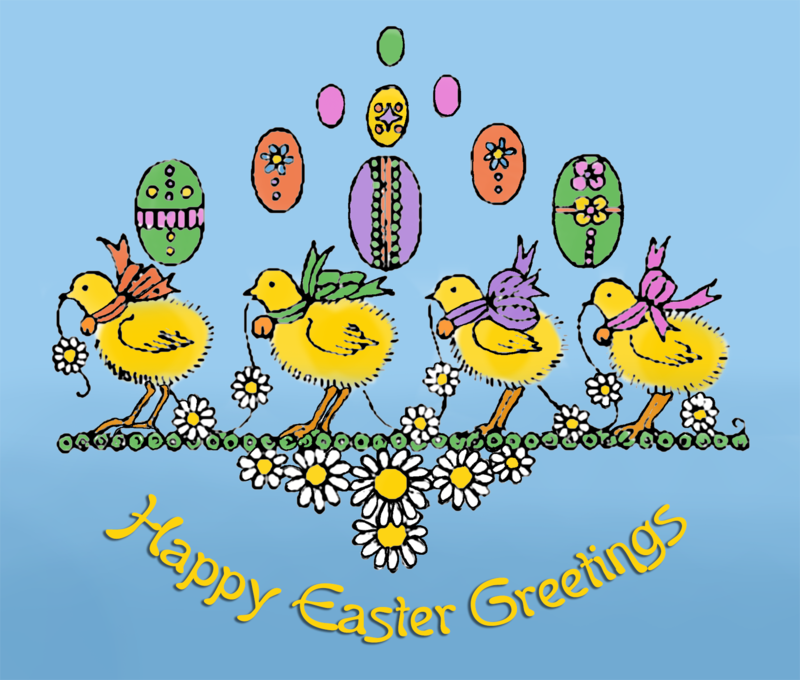 This Easter greeting card is 15 cm x 12,23 cm in 260 dpi. 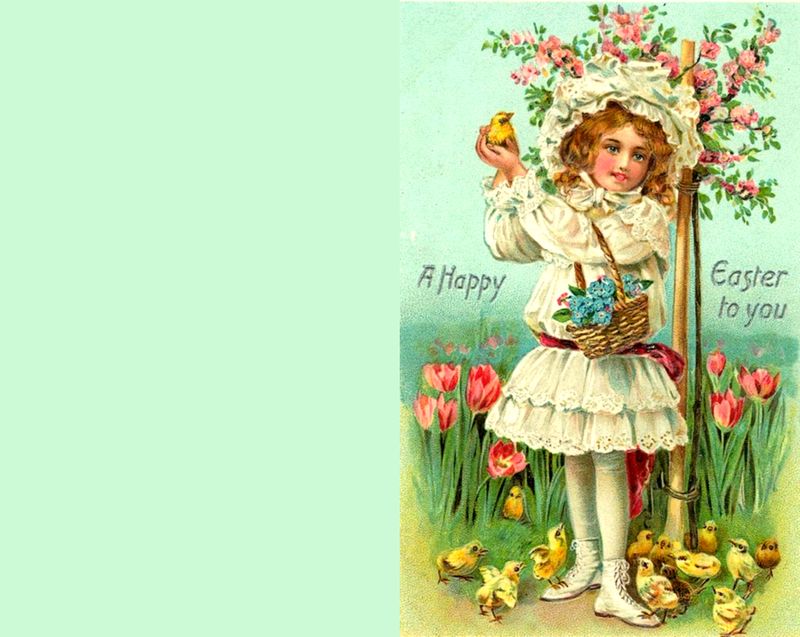 This cute Victorian Easter card is 15 cm x 11,25 cm in 230 dpi. 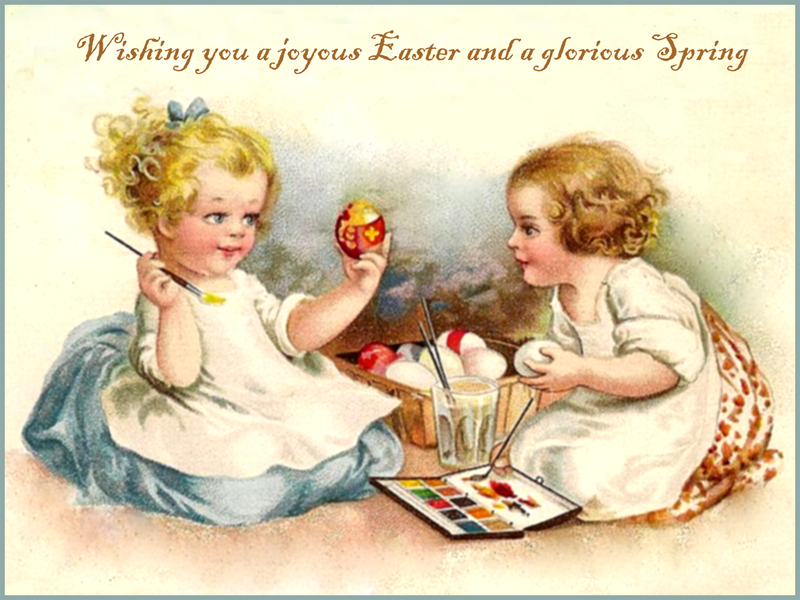 This adorable Easter greeting card features two small girls having fun decorating Easter Eggs. 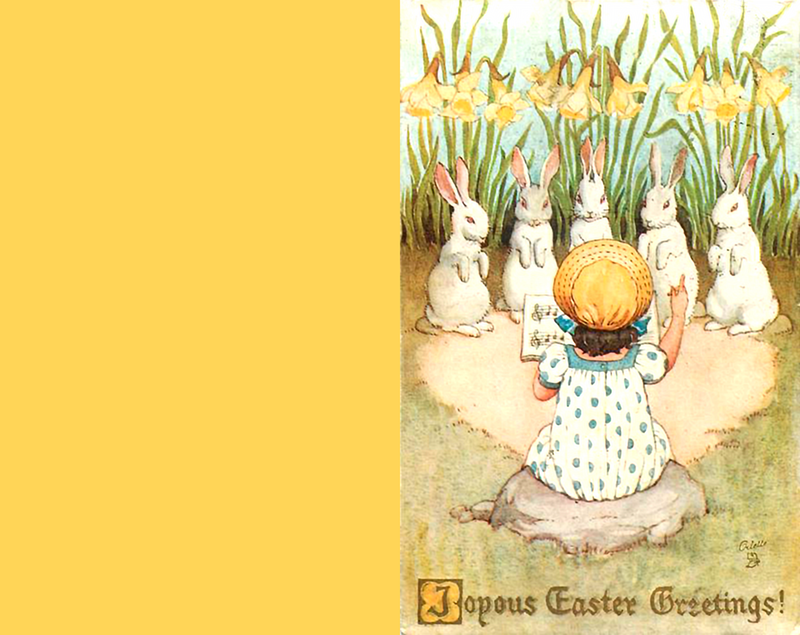 This printable Easter card is 15 cm x 9,45 cm in 185 dpi. 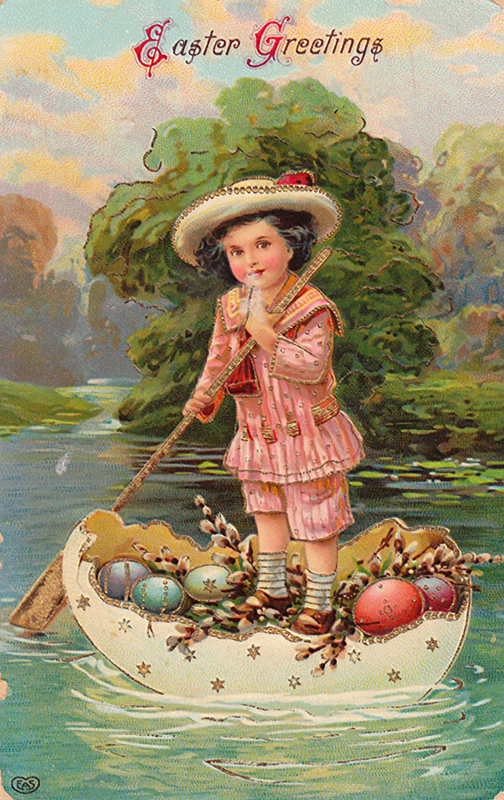 This cute old vintage Easter card shows a little boy (or is it a girl?) sailing a small boat made of half an egg. At first I thought that the little boy was smoking as smoke seems to come out of his mouth, but since I couldn't see a pipe or anything like that, I concluded that is was old wear and tear on the picture itself. It would have been interesting, though, had he been smoking a pipe. 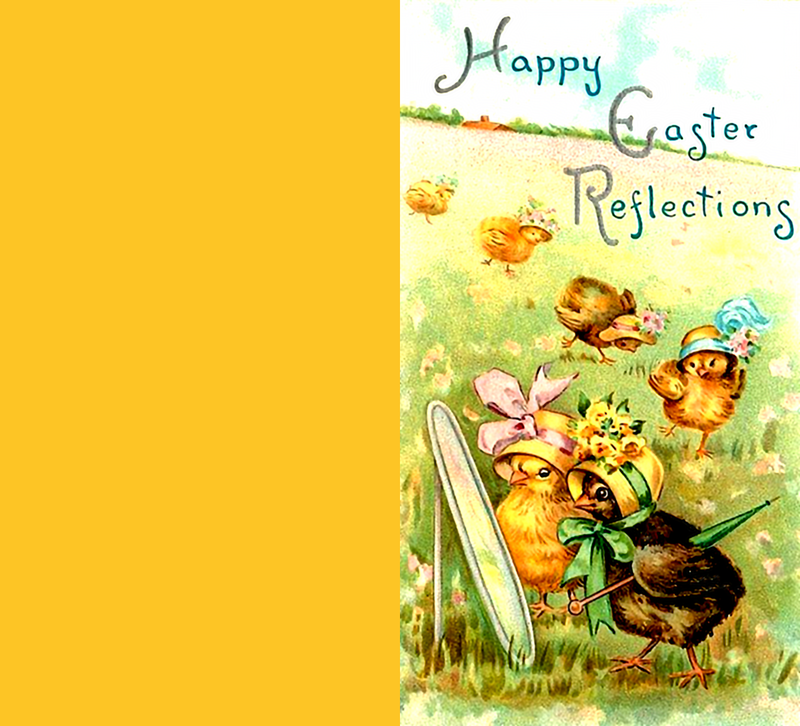 This colorful Easter postcard is 14 cm x 14 cm in 300 dpi. 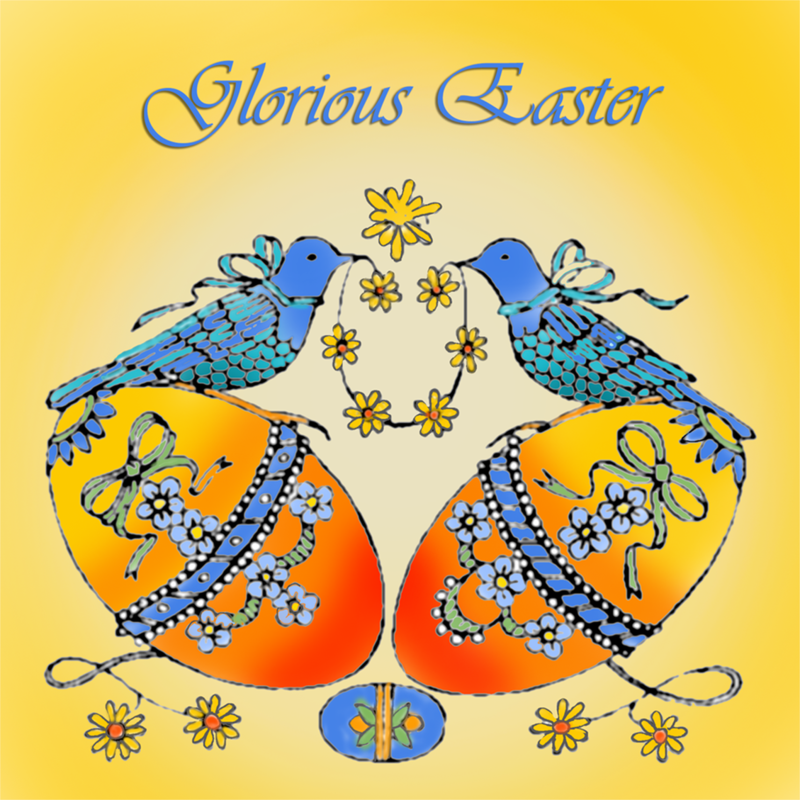 This beautiful Easter card features two blue birds (pigeons?) sitting on two large Easter eggs. 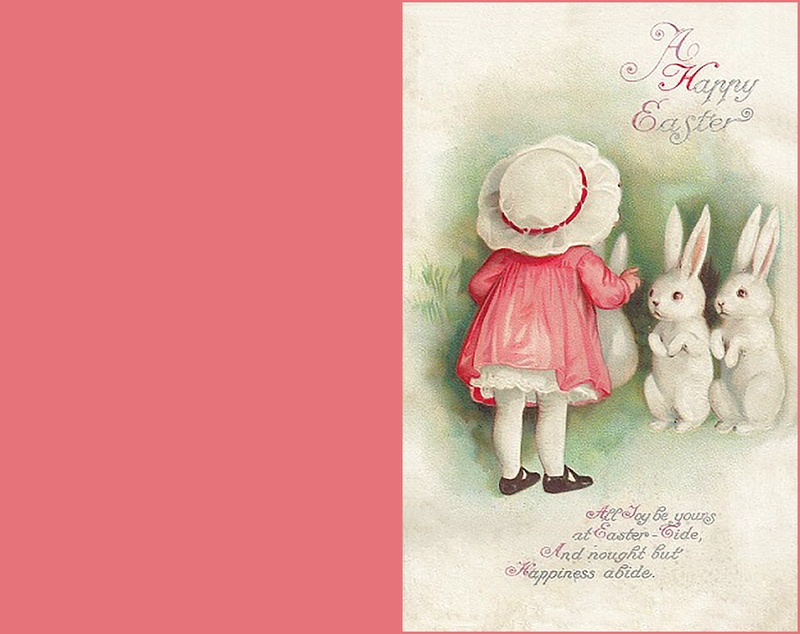 This adorable Easter card is 15 cm x 9,45 cm in 220 dpi. Here you see a little girl in a pink dress standing in front of three white rabbits. I'm not sure what she is supposed to be saying to them, but it is clear that she is having a conversation of some sorts. Maybe she is instructing them where to hide their eggs? And nought but Happiness abide. 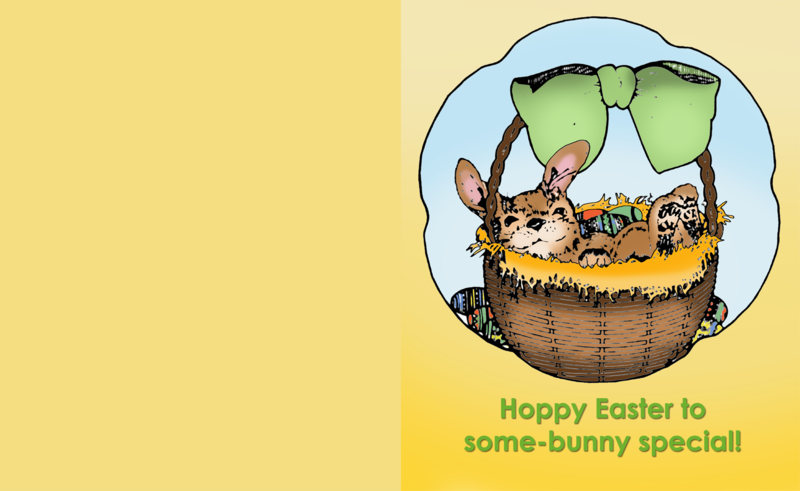 This printable Easter card is 15 cm x 9,58 cm in 260 dpi. 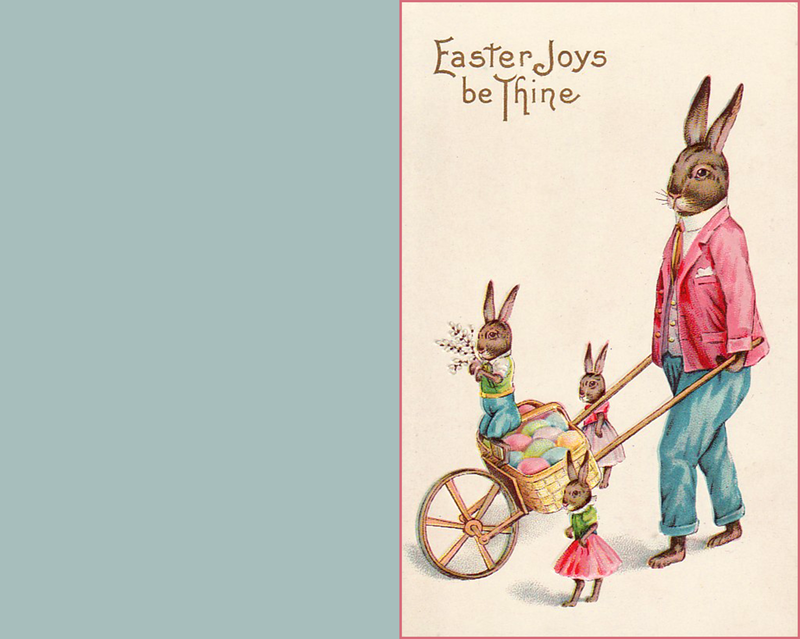 This is another old Easter card featuring the infamous Easter bunnies. Just like what is the case on the card with the little girl and the white bunnies, I'm not entirely sure about what is actually going on in the picture. Is it mother and son dancing happily celebrating egg delivering? Or is it mother and son holding hands and hopping sideways? Who knows? 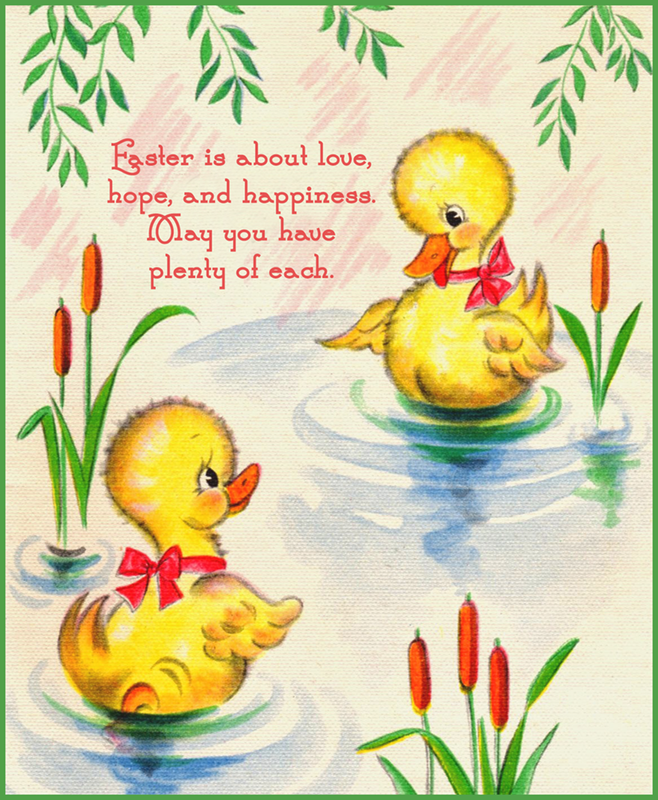 This cute Easter greeting card is 14 cm x 11,85 cm in 300 dpi. We will never tire of bunnies on cards, will we? 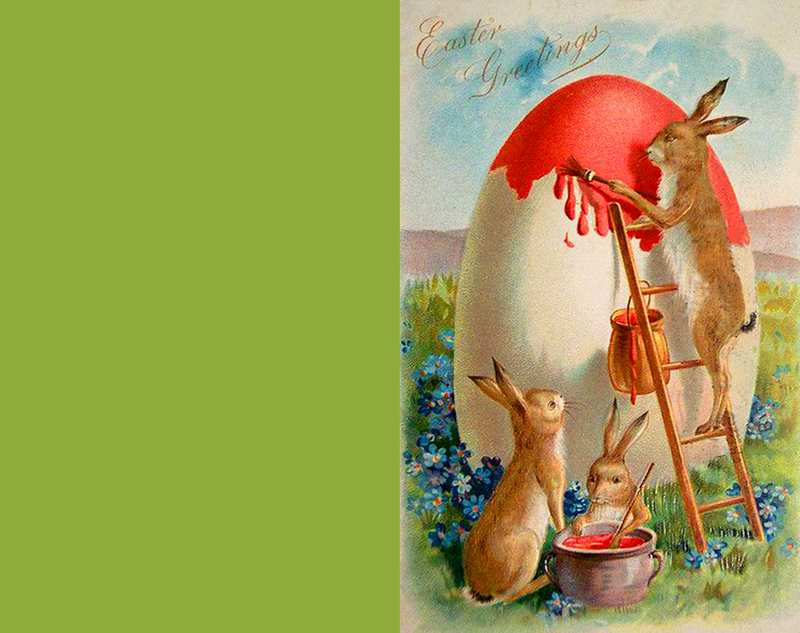 Anyway, here is another cute bunny painting Easter eggs. 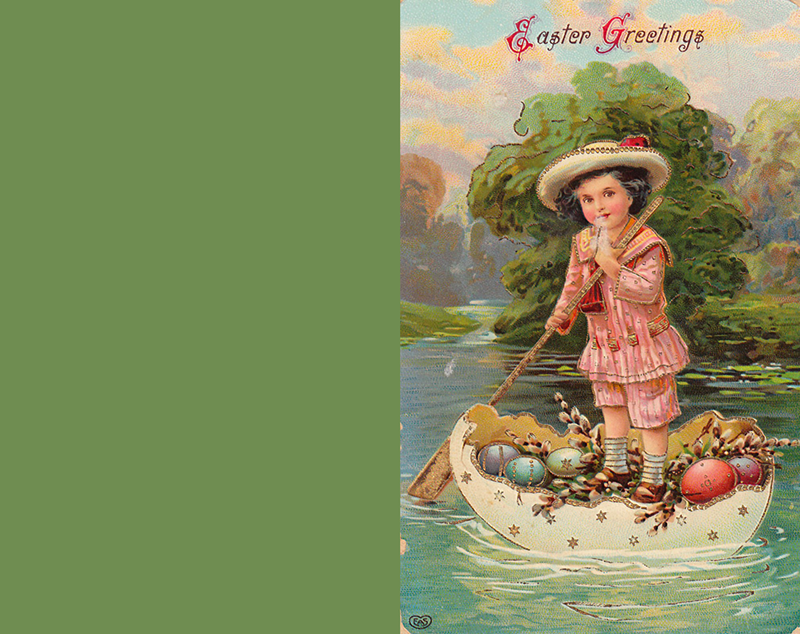 This old Easter card is 15 cm x 9,45 cm in 210 dpi. Here we have followed the Easter bunny or Easter hare on a typical Easter work day hiding colorful Easter eggs in the grass. 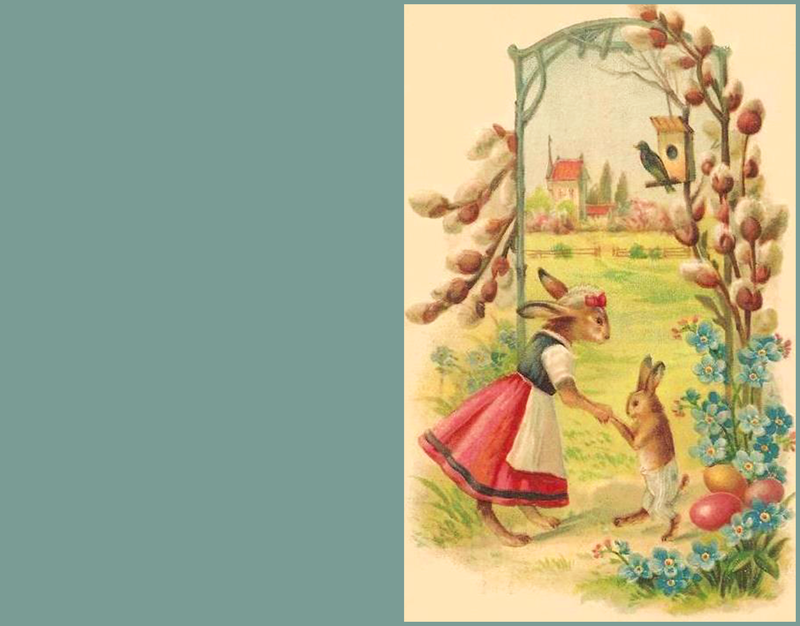 This Easter greeting card is 15 cm x 9,45 cm in 220 dpi. Here we have another beautiful vintage treasure. 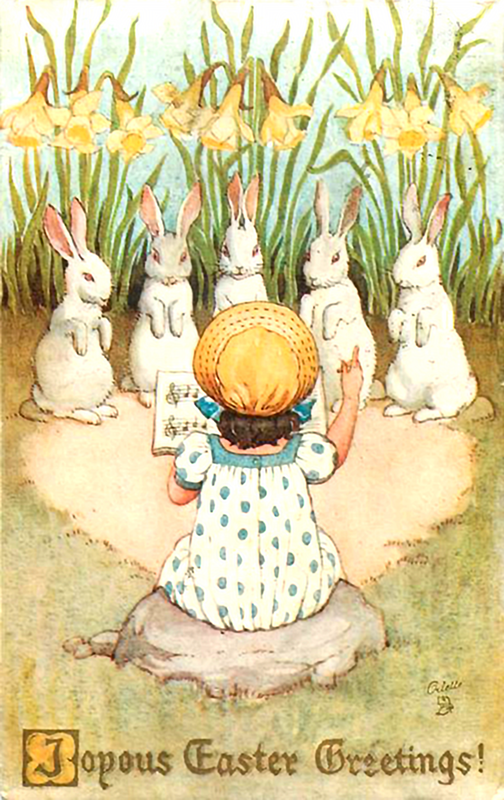 A little girl seems to be leading a choir of white bunnies or maybe she is just singing to them. This Easter card is 14 cm x 11,9 cm in 300 dpi. 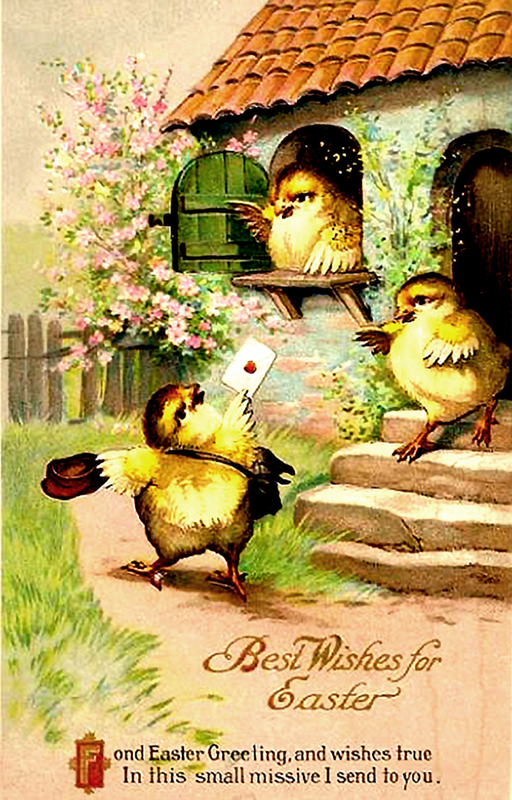 On this card we find lots of Easter eggs and four cute yellow chickens in a line along holding a daisies in their beak. 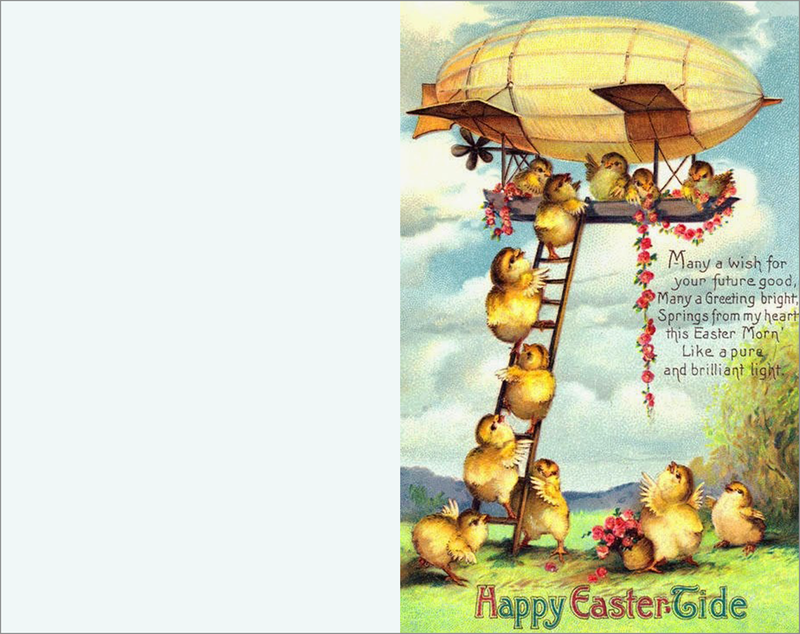 This humorous Easter card is 15 cm x 9,54 cm in 200 dpi. This is a funny one. 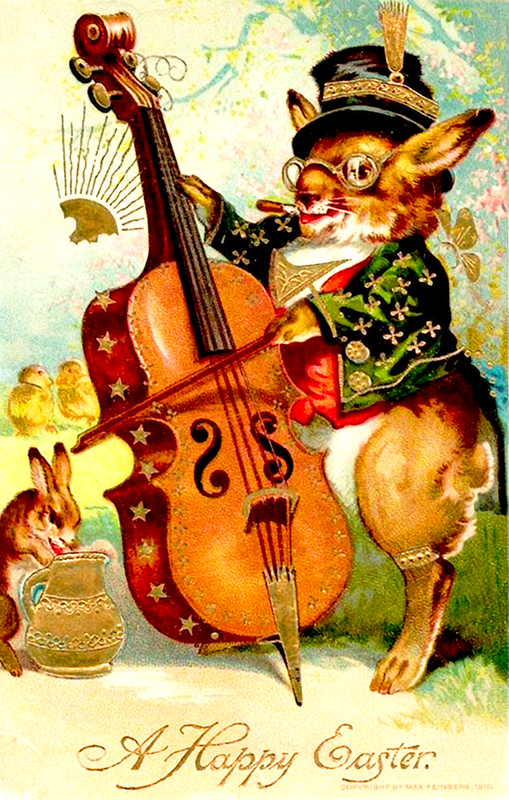 Here we see a rabbit with glasses, hat and what appears to be a cigar, playing the cello. And down to the left we find another smaller rabbit looking into a jug. 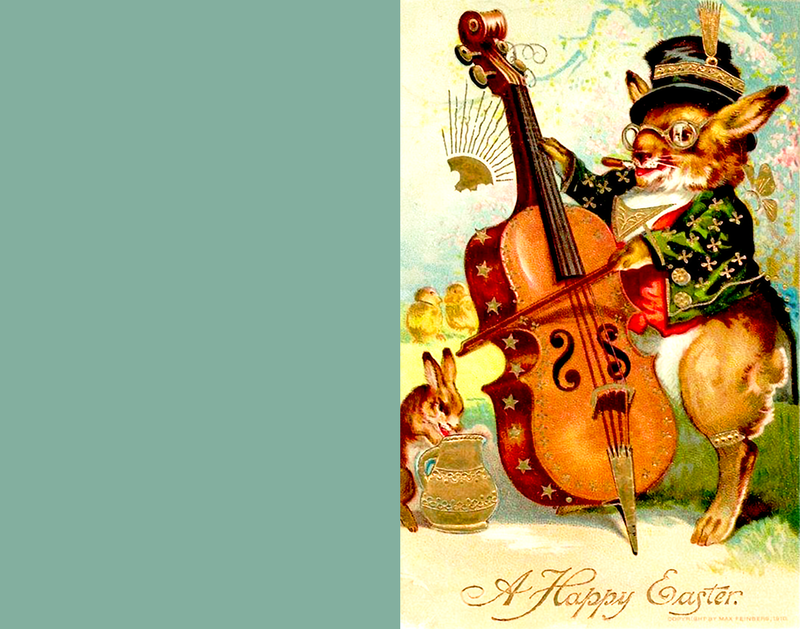 Maybe the rabbit is looking for money that people have given the cello playing rabbit. If that's the case, what a cheeky rabbit that is. 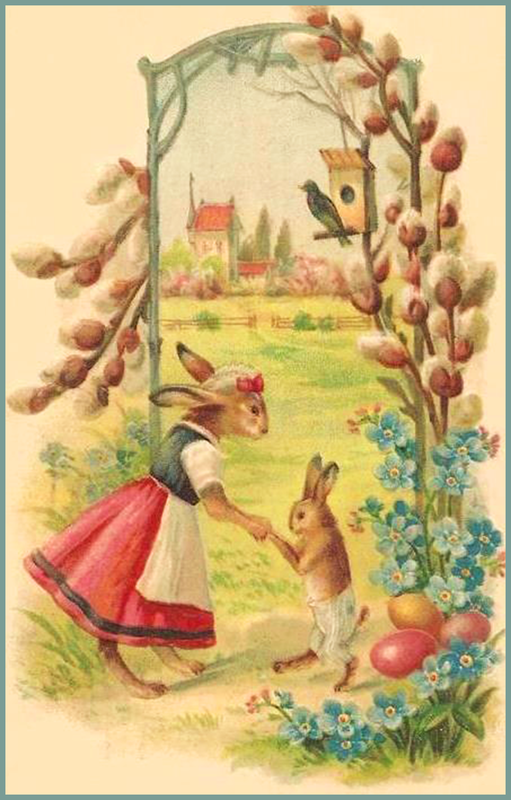 This beautiful old Easter card is 15 cm x 9,42 cm in 200 dpi. Here we see a girl in a white dress holding a chick , surrounded by lots of flowers and small chicks by her feet. 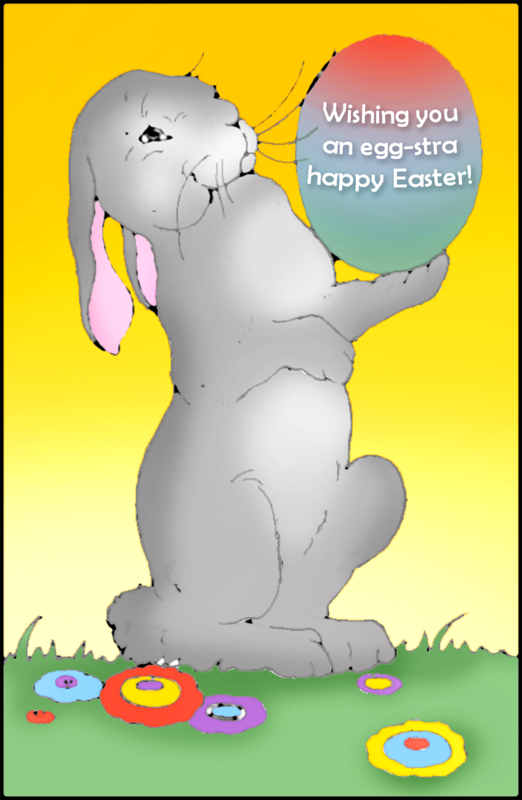 This printable Easter card is 15 cm x 9,6 cm in 200 dpi. This is a cute and funny Easter card. Here we have a happy chicken mailman delivering an Easter greeting card to a chicken couple. In this small missive I send to you. 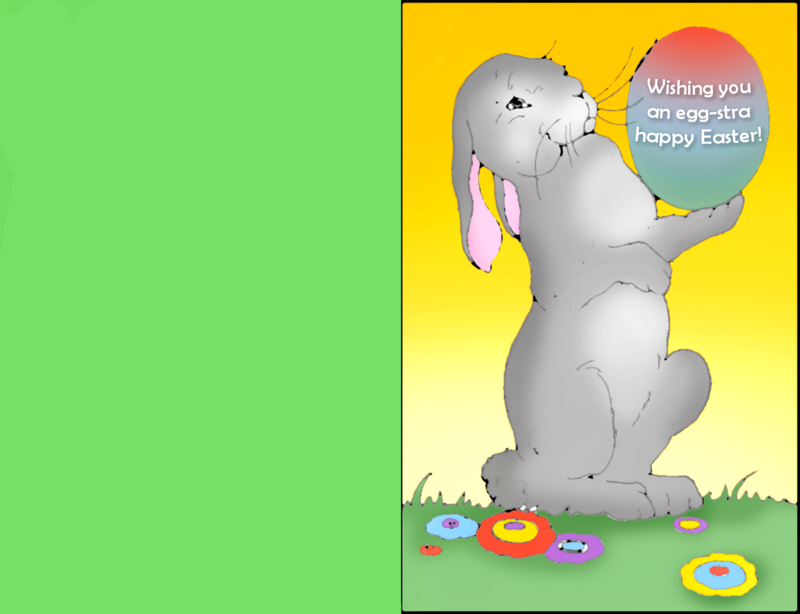 This Easter card is 15 cm x 9,92 cm in 180 dpi. 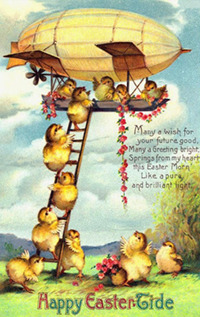 Apparently Easter is not only hard work for the Easter bunny, sometimes chickens have to help delivering the eggs, too. 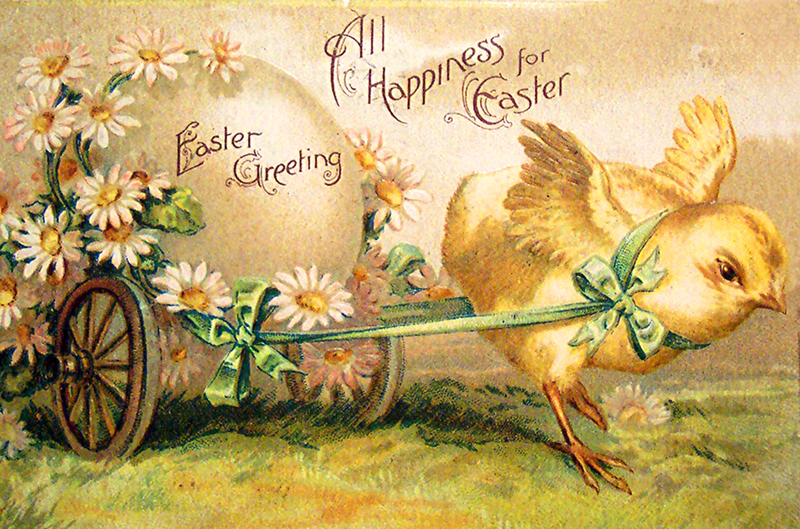 Here we see a cute chicken pulling a cart with a (for the chicken) giant egg surrounded by beautiful daisies. 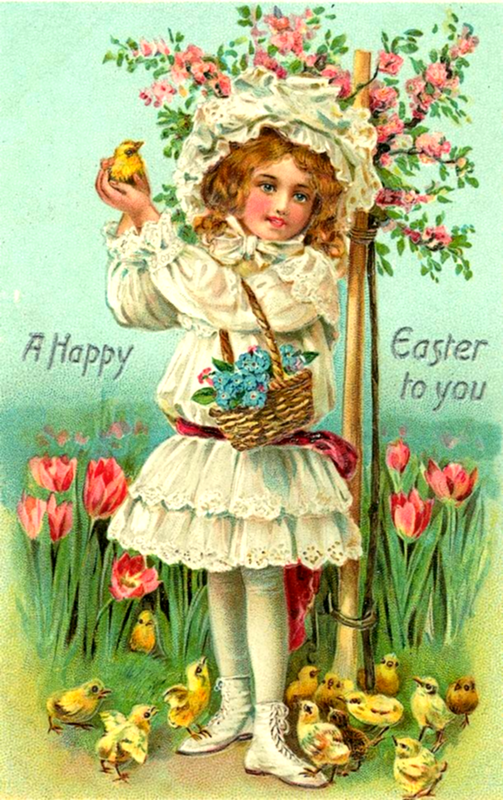 This old vintage Easter card is 15 cm x 8,26 cm in 230 dpi. 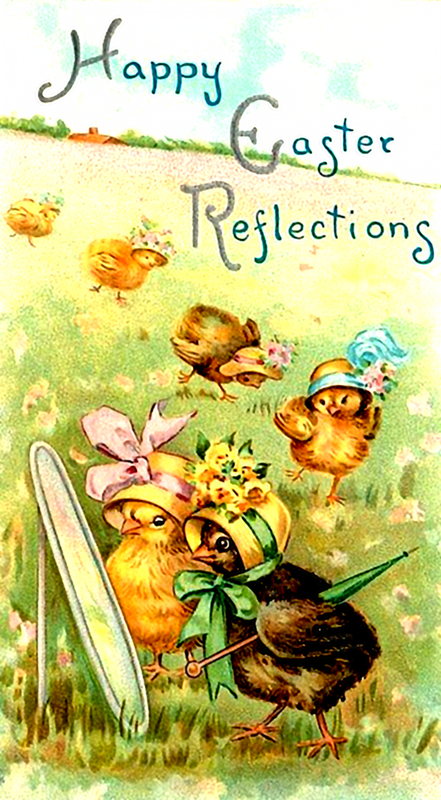 Not only is the Easter card cute, but it also makes you think about what is actually going on, because at first glance, it is not that obvious. What we see is a line of chickens wearing decorative hats. They seem to be waiting in turn to have a go at looking at themselves in the mirror. Why? What's the purpose of that? I really hope you enjoyed this page with free printable Easter cards and found what you were looking for. I wish you a joyous and happy Easter.